When the local bike shop owner asks you if you want to ride some more technical trails, and you haven't sat on your mountain bike in a long time until this trip, you should probably say no. You should probably stick to the flowy easy type of trails you were riding the day before to keep your ego (and the bike) intact. But instead, without hesitation, you nod your head with an enthusiastic SURE as your inner Katie is suggesting NOPE. 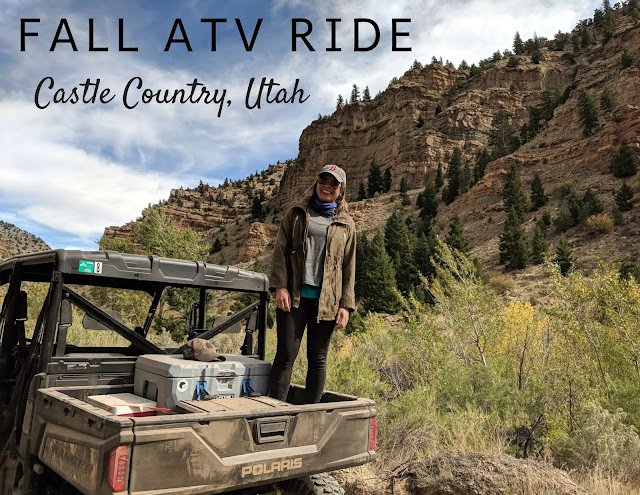 You will probably notice the lack of photos in this post and the reason is pure and simple - I had a sure grip on my handlebars as we twisted and turned through tight trails, steep little pitches, gravel washes, navigated through overgrown desert brush. 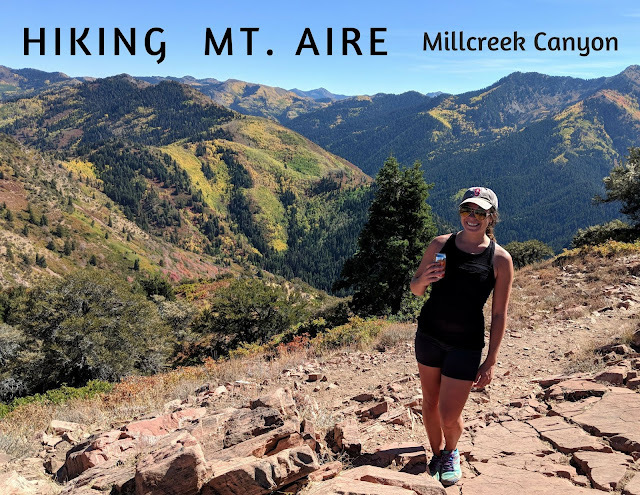 My feet were snapped into my pedals making last minute decisions to stop nearly impossible as I navigated boulders and washes along technical portions of the trail, terrain that was not forgiving. This was not the pedal and selfie sort of trail. It's hard to describe the soothing sound of the gravel and sand crunching under your tires as you twist and turn through flowy remote singletrack. It's a sound any mountain biker knows and loves (and craves), the quiet of the mountains in stark contrast with the sounds of the trail. And then there is the insane view ahead of you as you are doing something you love - it creates that sort of mood that makes you stop and ask yourself "Is this really my life?". Pedaling away and paying close attention to the trail as it rides the rim and snakes along the canyon wall. 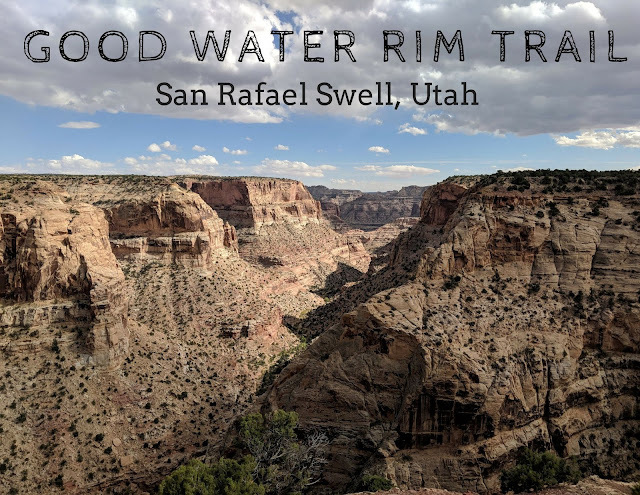 These canyon walls drop over a thousand feet into the San Rafael river below just a yard or two to your right. To your left, you have an endless expanse of small cacti and desert brush sprawling back towards the gravel roads. You are also virtually alone since the trail is not a popular one which reminds you that you have just found a hidden gem. 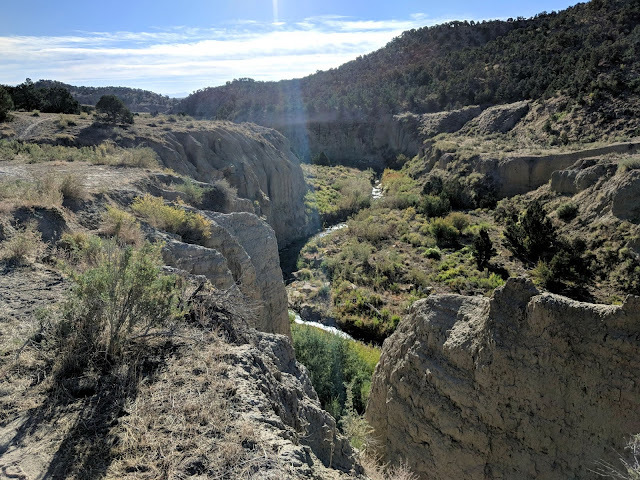 It is a perfect fall day on my bike and I am reminded that life is well in the San Rafael Swell. 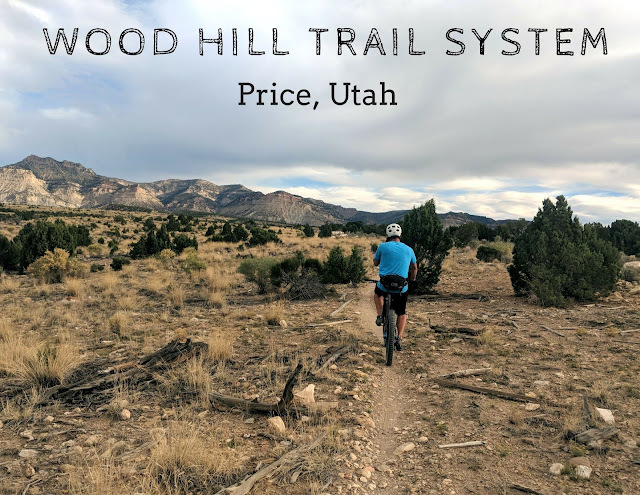 I spent this Sunday following local bike shop owner Mark Jespersen on the trails, trying to copy his stamina and style as we rode along on our mountain bikes. I am on a beautifully built (and borrowed) Specialized Enduro and it is shifting like butter unlike my cranky mountain bike back at home. This full suspension Specialized is making me never want to ride my hard tail again. We are biking along an area called "The Little Grand Canyon" and "The Wedge" and I am left a little speechless as I take in the wide open space out in what feels like the middle of nowhere. Its that "so small" sort of feeling that is so easy to find in the desert. There is something special about finding water in the desert, an actual oasis in a landscape of dry windblown sand and towering rock wall. Back home, a river meandering through the woods of New England is just another stream, another water crossing, another chance to get your boots muddy. But out in the desert water is such a precious resource and one that is fought over, celebrated, and respected. It is the center of survival in the desert and you can find those luscious greens in a landscape of harsh browns, tans, and yellows. Water and clean air are things I always took for granted living in the Northeast and moving west really made me appreciate some of the simple things so much more. This was a great hike as I am always in search of those beautiful places - the open spaces and towering waterfalls that make you feel so small in the world. 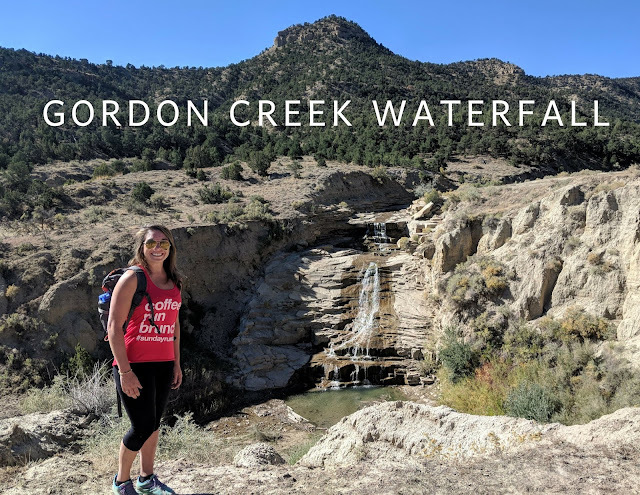 Between the towns of Helper and Price, there is a lesser-known creek that winds its way through the desert and cascades over series of desert rock to form Gordon Creek Waterfall. The stark contrast of waterfall to desert rock in the middle of the desert with no one around makes for a beautiful hike and the perfect place to soak in the sunshine with friends. On a sunny Saturday in late September, Amanda and I only saw one other person on the trail. This means we spent a good 1.5 hours at the waterfall taking in the scenery and the solitude in front of this impressive waterfall, enjoying the day. There are a few towns between urban Salt Lake City and outdoor mecca Moab that do not get a lot of attention. They have been known as Pee Town (the place you stop to pee on your way to Moab) or the "Speed Trap" (Wellington) as you make your way to southern Utah’s famous deserts. This area between these two famous hubs, portions dubbed Utah's Castle Country (you will see why) is a beautiful area very few even know exists. This once booming area which grew rapidly as a coal mining town, has slowed down and since earned the reputation as "The Moab Layover". Salt Lake City has a few classic hikes. You know what I am talking about…. the hike you bring out of towners to, your chance to show off the city you adore and the mountains you love. 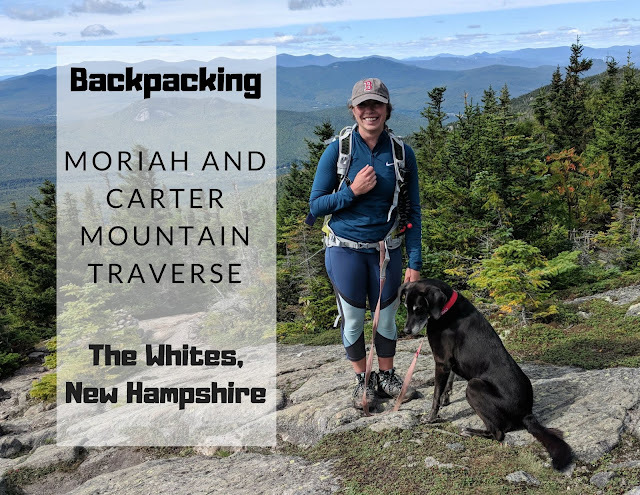 I have a list of these hikes I keep in my back pocket, ranging from distance to elevation, summit views or solitude. For a good sweat and a sunset at a unique location with views, I take them to hike the Living Room. For a long meandering trail above the city, we head to the Bonneville Shoreline Trail or head to Twin Peaks. But for a really quick climb to see the city before dinner, I take them to Ensign Peak. Anyone who has ever visited me out west has likely climbed Ensign Peak. 1/2 mile and you are there, with sweeping views of Salt Lake City below. You can see State Street and its parallel neighbors stitching out into the horizon. You can see the traffic and the city buildings standing in stark contrast next to the beautiful Wasatch Mountains banking the city. The sun starts to set and you can sit up here with a view, your thoughts, and a beer. I have hiked this spot a dozen times, with out of towners, to see the super moon, or just with my dog to clear my head. 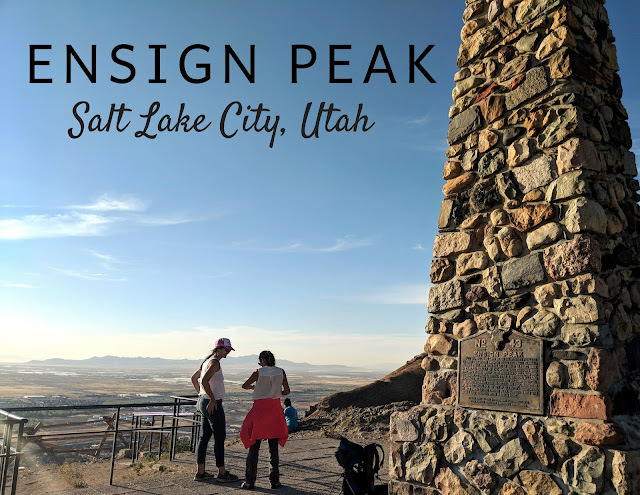 If you find yourself in Salt Lake City, with a hour to kill and a desire to see the city from a different view, I hope you head to Ensign Peak.